Not rocket science, but I chased a wild goose looking at permissions for 15 minutes before figuring out what was wrong. I had decided to give my wife my E66, but my E66 was pretty much worn out. 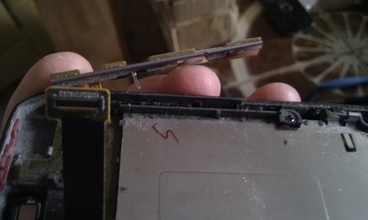 The case had started to fall apart and there was dust beneath the glass protecting the TFT screen. 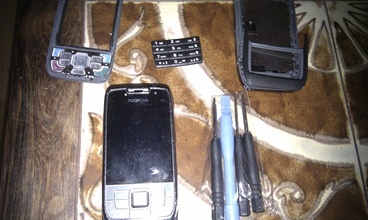 It is possible to buy spareparts for mobile phones though. Buying them from a local dealer in your country will surely set you back many many dollars. Luckily Ebay came to the rescue. 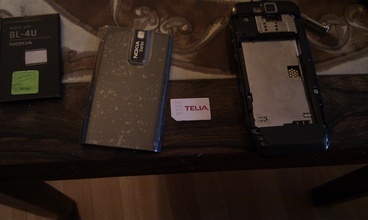 I bought a new fascia housing for my Nokia E66. OnlyÂ set me back around $10. Replacing your phone with this new fascia, the preference to phone shop engineering maintainers or alternatively change it by yourself with any of corresponding tools. 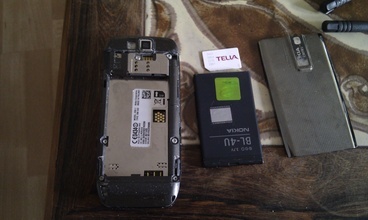 So this blogpost constitutes a walkthrough on how to replacing the fascia, in case somebody else decides to revitalizing his or hers aging Nokia E66. What was in the package from the seller? 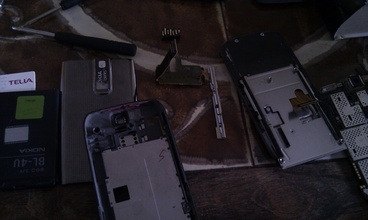 I then started to take the old phone apart. Gently, noting where everything went. This is not the time where you want to have leftovers afterwards! 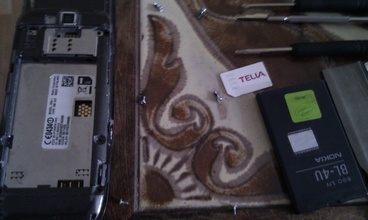 Next up, remove the screws. Notice carefully what screws belongs to what hole. There are 3 different screws on the back. 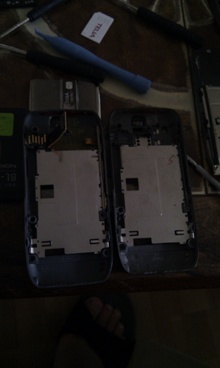 Next seperate the front and the back from the actual phone mainboard. Do this very very carefully. Do not get angry! And do not use excessive force. 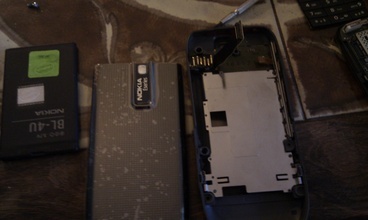 Everything in the phone are hold together using plastic tabs at this point. The two connectors from the front and back PCB to the main PCB needs to be detached gently. They will come off without force if you do it right. 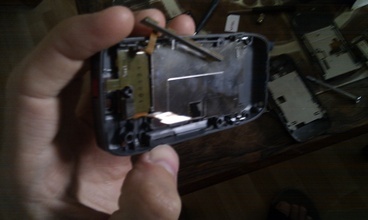 Working on the back, you need to detach the PCB where all the buttons are located. Gently use a thin screwdriver for this. You also need to detach the power connector. 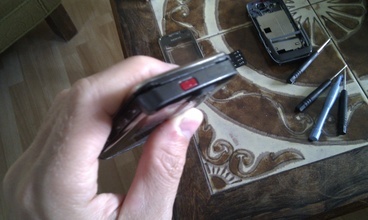 That is most easily done by putting a screwdriver into the powerconnector, tipping the screwdriver downwards. That will make the connector pop out of its plastic tabs. Working on the front part. 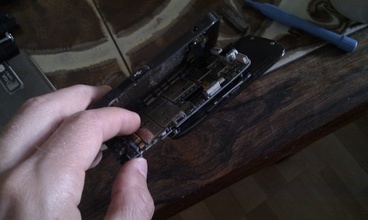 Unscrew the two screws holding the PCB onto the slider. Do not fall for the urge to do anything about the spring system!! If you do, you will not get a working phone afterwards! 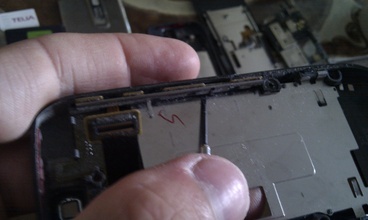 After unscrewing the two screws, you can pull the PCB out of the fascia. 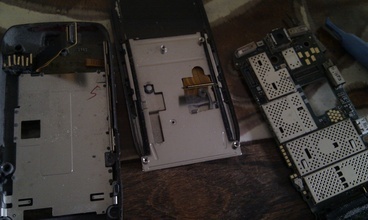 I then cleaned the TFT and put the PCB into the new fascia. Front and back fascia was now done. 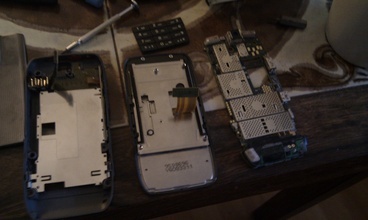 Assembly of the parts again. 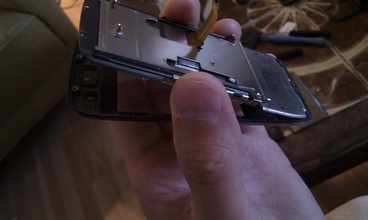 Just reverse the steps you did when taking the phone apart. 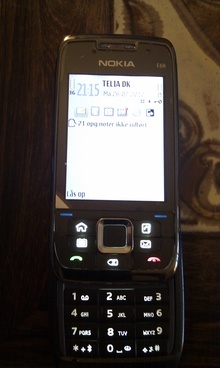 My wife complained about her Nokia 6700 classic was a real pain to use for SMS’s. 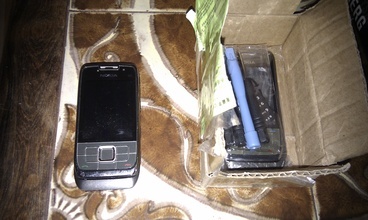 She tried my Nokia E66 and found it to be much better. 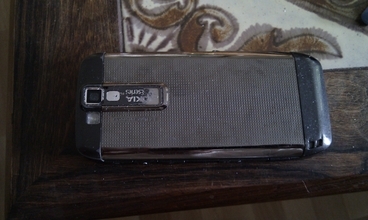 As the true gentleman I am, I imediatly gave her my E66 — it was almost two years since I got it anyway. Having given her my phone, I had none. 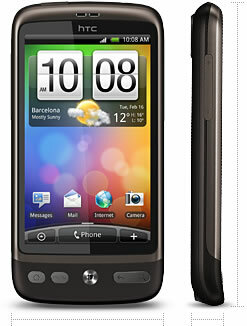 On the other hand,Â that provided me with an excuse for buying a new one.Â More specifiically anÂ HTC Desire. Then it happened. 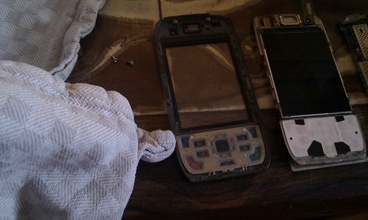 I got tired of apple and the iphone! The iphone could have been soo much more useful. Sure it is awsome for browsing the net and taking high quality pictures. 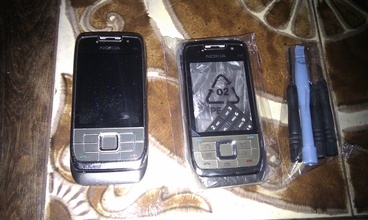 But basic features like outlook sync, bluetooth support and MMS are lacking. And after almost a year there is no sign of apple implementing these features. It is not because the iphone lacks the technical capabilities. It is purely a software problem/restriction. One can only guess why apple have choosen to limit it. 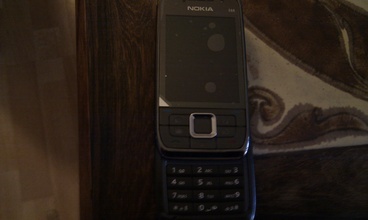 I got a Nokia E66 as a replacement. While being inferior with regards to browsing the net and screen realestate, it synced up to my outlook work calendar using bluetooth without any hazzles. It has all the features (and many more — barcode reader!?!) that you would expect from a phone in 2008. I plan to play with the GPS in it, when I get the time Will surely come in handy when I go to reading in November on Vertias storage Foundation course.